Have a look at our Frequently Asked Questions, or get in touch with your local State or Territory representative on the details below. I’m trying to sign in to the 7 Pillars of Inclusion for Netball. Do I use my MyNetball ID? No, this is a separate system. If this is your first time using the Inclusion Action Survey, click on the ‘Register’ button on the login page. If you’re a returning user, and you can’t remember your password, click on the ‘Forgot Password’ link. I want to register for a Connected Clubs & Communities workshop for my Club/Association. Can I do this online? Yes you can. registration page or you can get in touch with your relevant state/territory one netball contact on the details provided below. How do I complete the Inclusion Online Course? The Inclusion Online Course gives you the freedom to cover the same content as the face-to-face workshop, in the comfort of your own home. 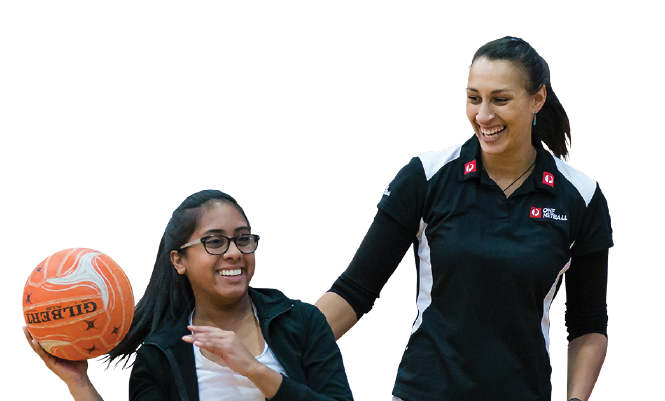 You will complete the course through Netball Australia’s e-learning centre, using your MyNetball ID. If you don’t have a MyNetball ID, you can register for a MyNetball ID on the homepage. Once you’ve completed your Inclusion Online Course, you can explore many other free courses available in the e-learning centre. When can I make a nomination for the Australia Post One Netball Community Awards? The Community Awards open once a year. Sign up to receive One Netball updates to be notified when the Awards next open. Where can I find out more about Member Protection Officer Training? You can complete a free online course through Play By The Rules. Click here to get started. Yes please, that’d be great!